I had some left over Frog Painters Tape from my Dog Food Container project last spring. Since my door is a bright green color, I thought black and white would stick out the best. 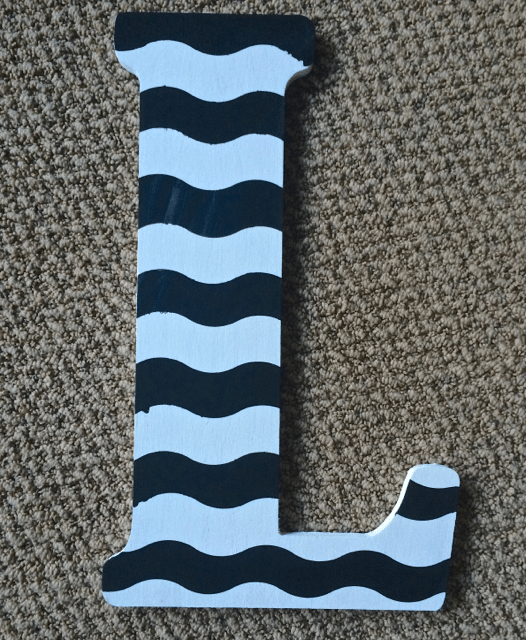 I first painted my Wooden letter white and allowed it to dry completely. 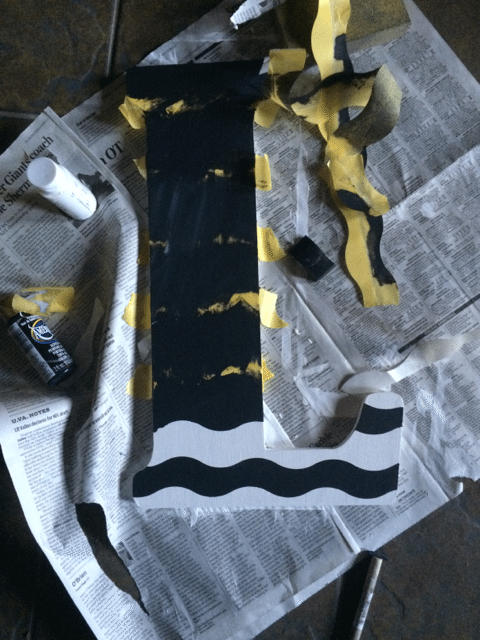 Then add your painters tape and the magic happens. Be sure to press it hard so you don’t get any bleeder paint. 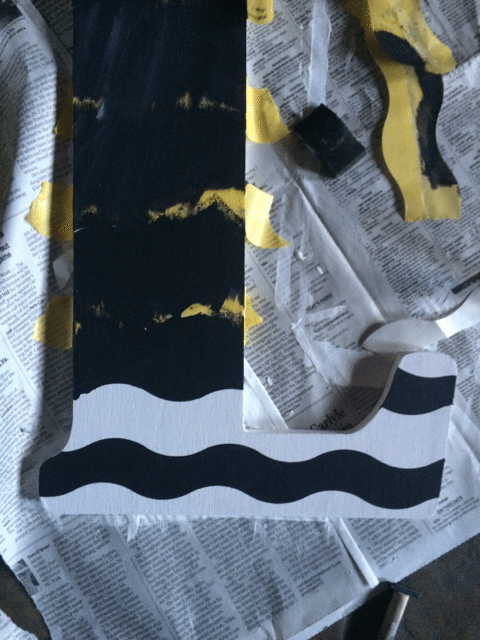 Allow the project to paint over night and then gently pull off the painters tape. I was so excited about the result. 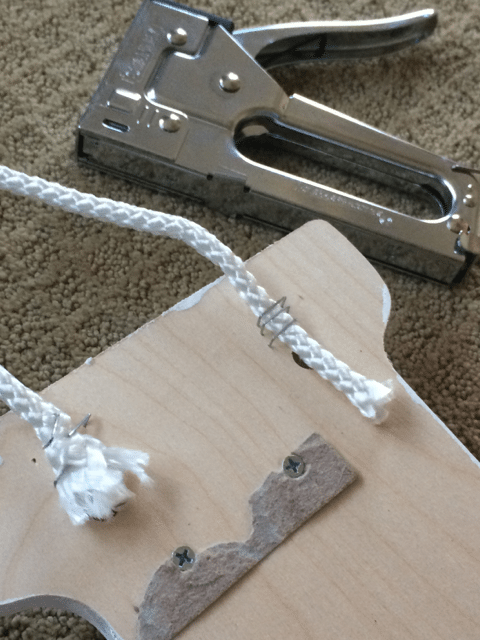 I added a roping to the back of the letter for hanging using a staple gun. I already had the roping and thought it looked better than a white ribbon. 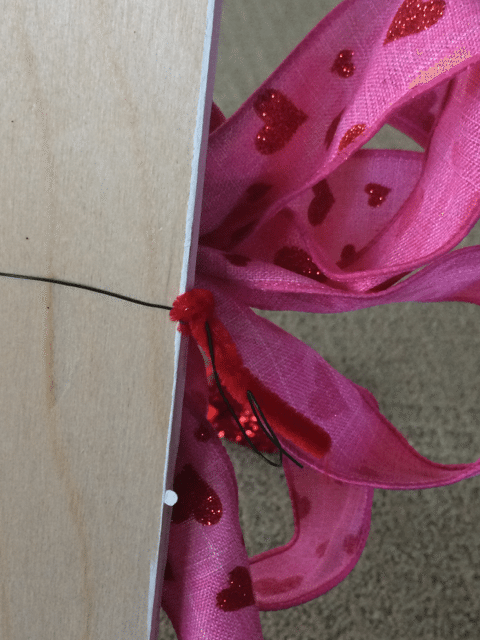 Make a bow out of your Valentine’s Day ribbon and attach it to the initial with florist wire. This is where it becomes interchangeable. I added a few sparkly hearts and ta da, you are done. After Valentines Day you can change it up for St Patrick’s Day, Mardi Gras, birthdays, you name it. 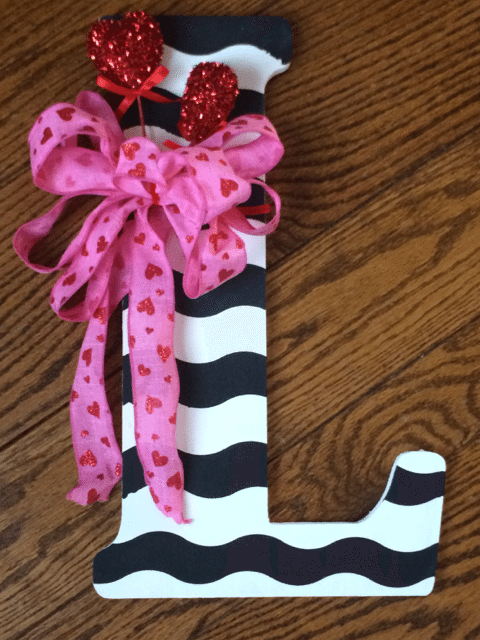 I am thrilled with the result and hope you have found some inspiration to create your own Valentines Day Initial Wreath for your door. 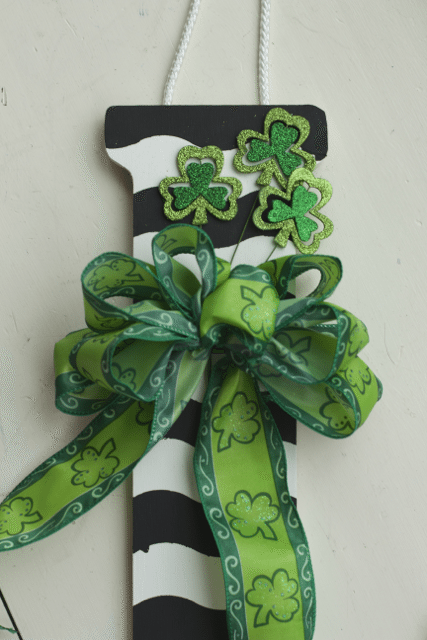 Finally found some St Patrick’s Day Decor before this went live. What do you think? 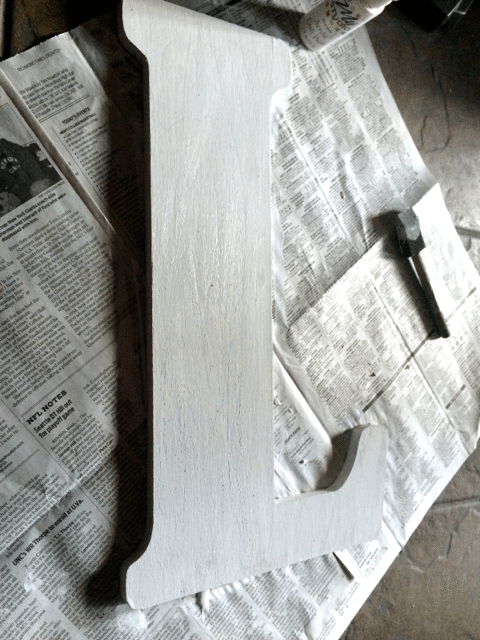 What should I put on this DIY Initial Wreath? « Should you Switch to LED Light Bulbs? I like this, it’s very cute, definitely something I’d like to try. Thank you for sharing this craft post. This is awesome! I wish I could do crafts. I don’t know, I might try this one, though. Thanks for sharing this! I’m glad I found this on Friday Food Frenzy! Pinned. I wish I was more crafty. I love all the painted wreaths and decor I see online. I do swap out wreaths every month though with store bought ones. 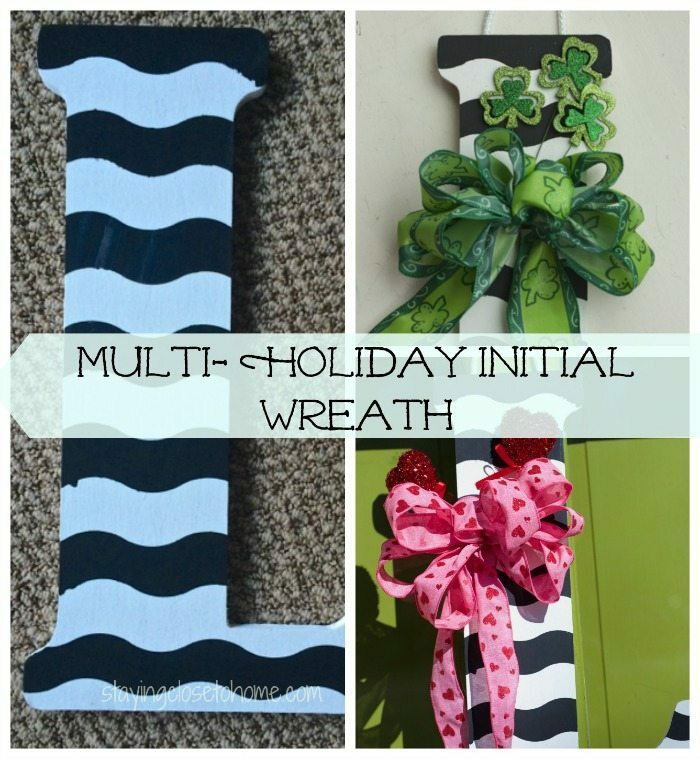 I love how versatile this is for all the holidays! 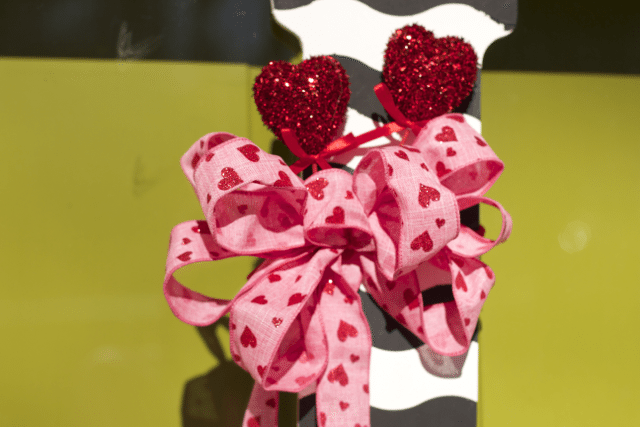 My front door definitely needs some sprucing up for Valentine’s Day! This is such a cute craft! I’d love to make one for my house now! Super cute idea and tutorial! I love the idea of an interchangeable wreath/front door decoration. Cute initial! This is too cute! I’m a sucker for an initial or monogram! It makes sense to have the bases for the wreaths be something that can be re-used season after season. You can be cute and fiscally responsible. I think your wreath is adorable! I would like to make an initial wreath and put on Holiday Decorations with a Christmas theme and hang outside. I like the St. Patrick’s Day wreath. It is so cute! This is so cute and it seems fairly easy to make too. 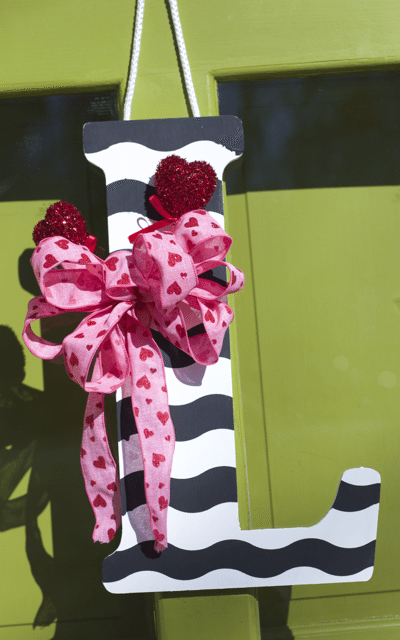 What a great way to decorate or even a great holiday gift. That is cool. Love how creative. Great job. This is such a cute little wreath! Something like this would be perfect for dorm rooms too. Yes not too hard especially with the painters tape.. This is sooo cute and I love that you can change it up for every holiday! What a cute idea! I am missing the craft gene in my body, but this looks like I could manage it! Thanks for sharing. what a cool DIY project. I love that you can change the ribbon to change holiday.